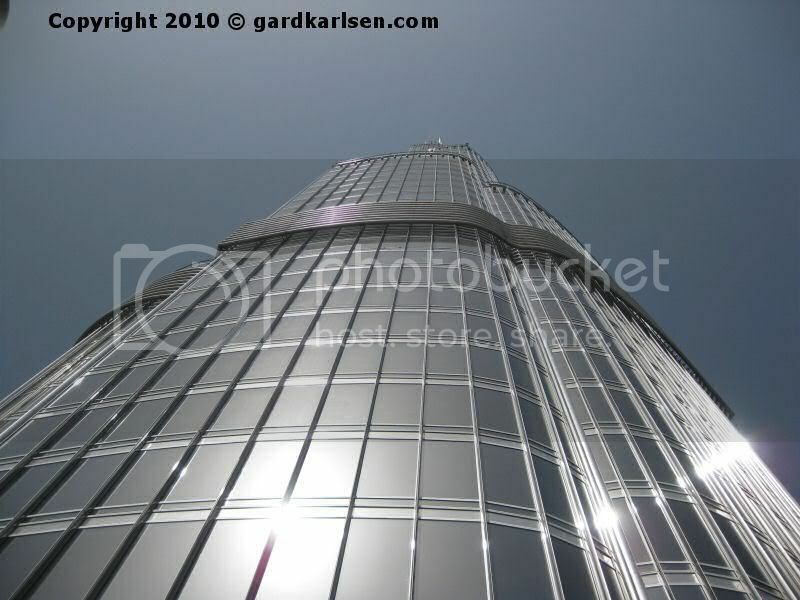 I just had the pleasure of visiting the world’s tallest building: Burj Khalifa in Dubai. I walked over to this amazing tower from the Dubai Mall metro station and it is impossible to not be impressed by the enormous 800 meter tall building. 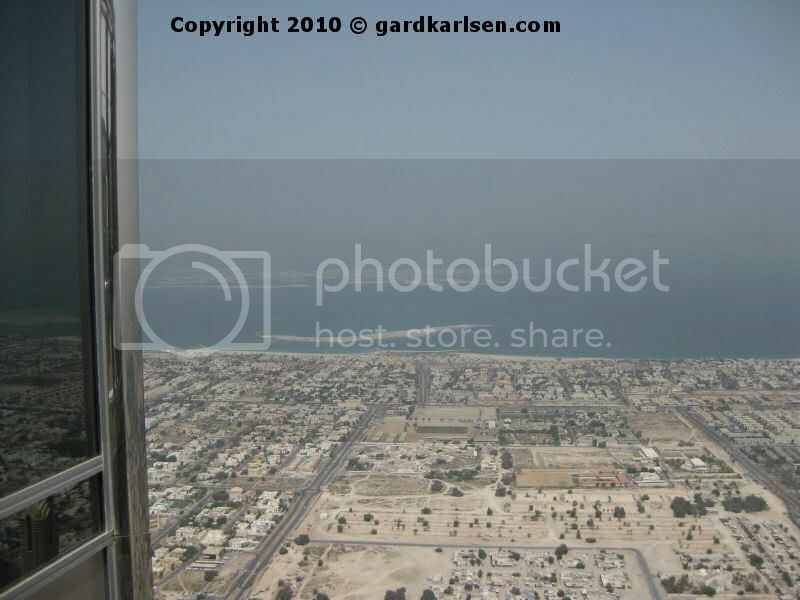 I had gotten a hold of a ticket to the observation deck “At the top” in advance and the ticket price was 100 Dirham (27 USD) but you can also pay to cut in line but then the price is 400 Dirham (110 USD!!!). The entrance to the At the top experience starts within Dubai Mall (which they claim is the biggest mall in the world) and after I passed through security I followed the path to get to the elevator. Along the path you get information about the building process, the design etc. and to start with there is also a couple of models of the building. The elevator itself was quite small but at least it is fast I honestly didn’t feel the elevator starting but it didn’t take long before I felt the change in pressure in my ears and then I knew we were moving. The lift travels at 10 m/s so it only takes a minute to reach the observation deck – so when the doors opened I was looking out from 124th floor! 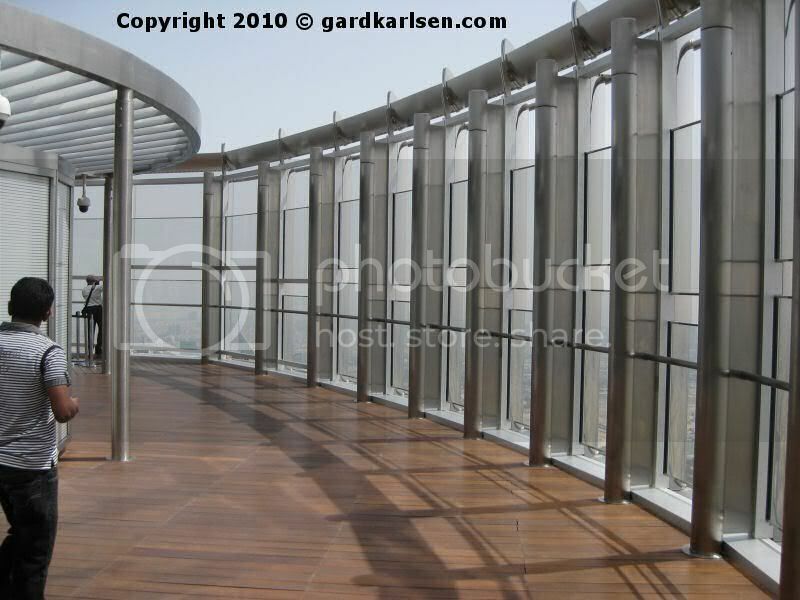 The observation deck has both an indoor and an outdoor section and it gives you a 360 degree view of the Dubai area. 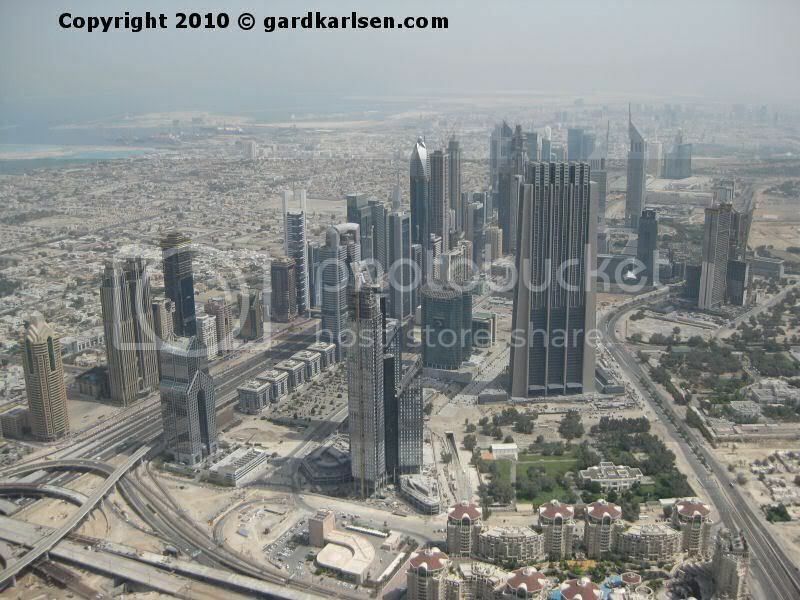 I started by going outdoor and the view from about 450 meters above the ground is amazing. You know that you are high up when you can look down on the 60+ floors hotel The Address The sun was blazing outside and even I was quite high up, there was no cooling effect in the breeze. 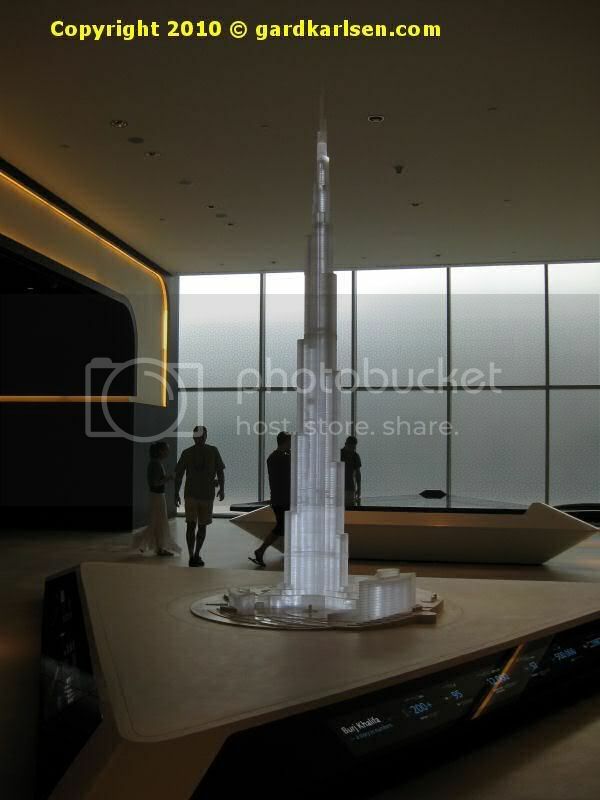 The outdoor section gives you a view from The Address hotel and the musical fountain, the Dubai Mall, Sheikh Zayed road and towards the ocean where it was possible to see the islands of the World project. When going inside again I got a view of Jumeirah (including Burj Al Arab and the Palm in the distance) and all around back to the Address hotel. 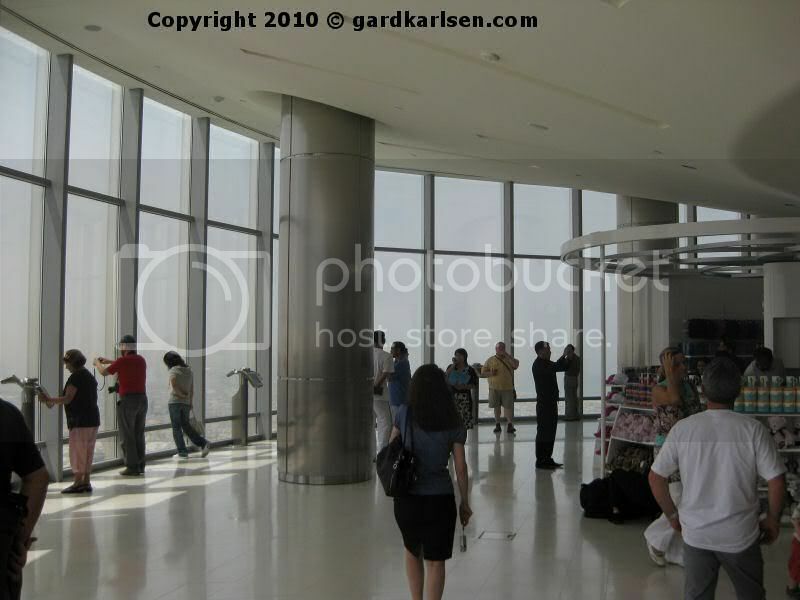 Even if this is the tallest building in the world, this observation deck is actually not the tallest in the world. That record belongs to Shanghai World Financial Centre You can read more about the “At the top” observation deck on the Burj Khalifa homepage. 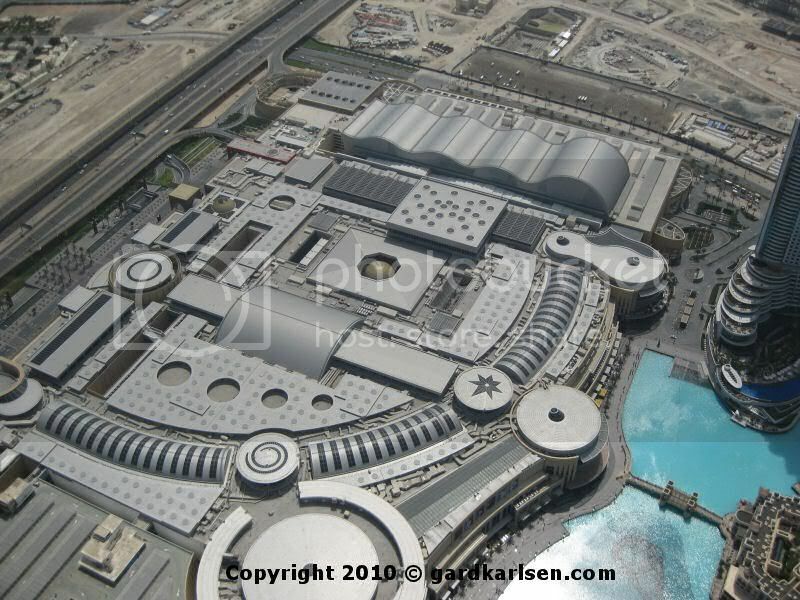 Nikki and I went to Dubai last year and you can check out my Dubai trip report on this page. It seems like a great place. Thank you for sharing your thoughts on your trip. 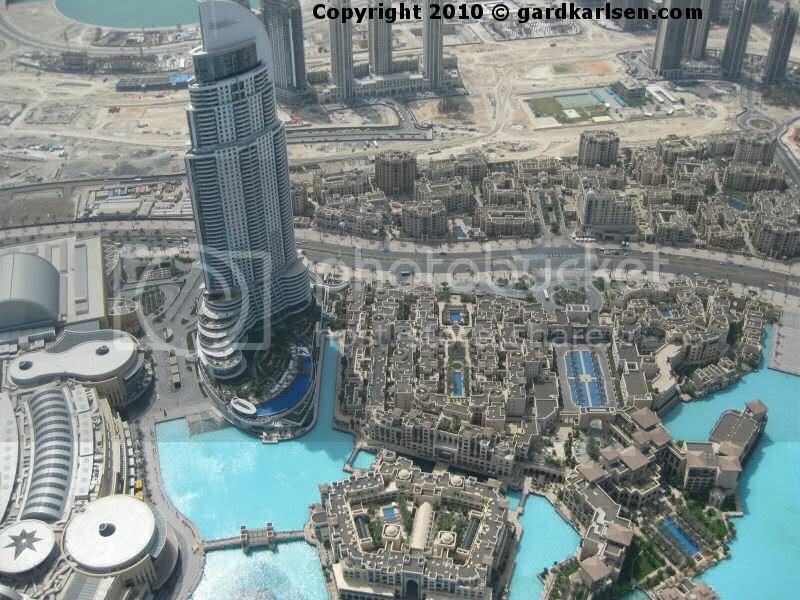 Not only the tallest building, but in my opinion most beautiful building of the world. Thanks for useful information. Very beautiful views from the top.